He’s worked on the brand, agency and ... See More consultancy side of a ton of brands we all know FunnyOrDie, AwesomenessTV, Walt Disney World, Vitamin Water, Nissan, and Carhart WIP to name a few. * How the current social media environment mirrors the energy of early skate culture. * How Gen Z is different than millennials. * The famous Nike story of entering the skateboard culture in the 90s with the introduction of the SB Dunk. This story has always been spoken about but was first published in Gregg’s book. 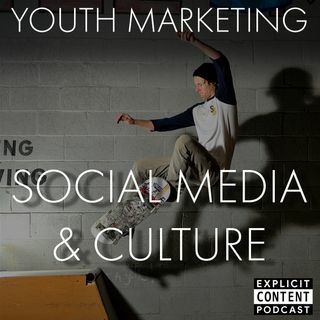 * How brands like Red Bull and Nike enter cultures and where brands get it right and wrong. * The three things that social brands should look out for when trying to attract Gen Z.